Check out Tobi's Let It Down Easy Surplice Blouse All your carefree vibes are right here. You gotta get the Let It Down Easy Green Surplice Blouse, featuring a plunging neckline, back surplice overlap, short sleeves, and a loose and comfortable fit. Perfect to pair with skinny jeans, your casual 'fits just got an upgrade. All your carefree vibes are right here. You gotta get the Let It Down Easy Black Surplice Blouse, featuring a plunging neckline, back surplice overlap, short sleeves, and a loose and comfortable fit. Perfect to pair with skinny jeans, your casual 'fits just got an upgrade. All your carefree vibes are right here. You gotta get the Let It Down Easy Toast Surplice Blouse, featuring a plunging neckline, back surplice overlap, short sleeves, and a loose and comfortable fit. Perfect to pair with skinny jeans, your casual 'fits just got an upgrade. All your carefree vibes are right here. 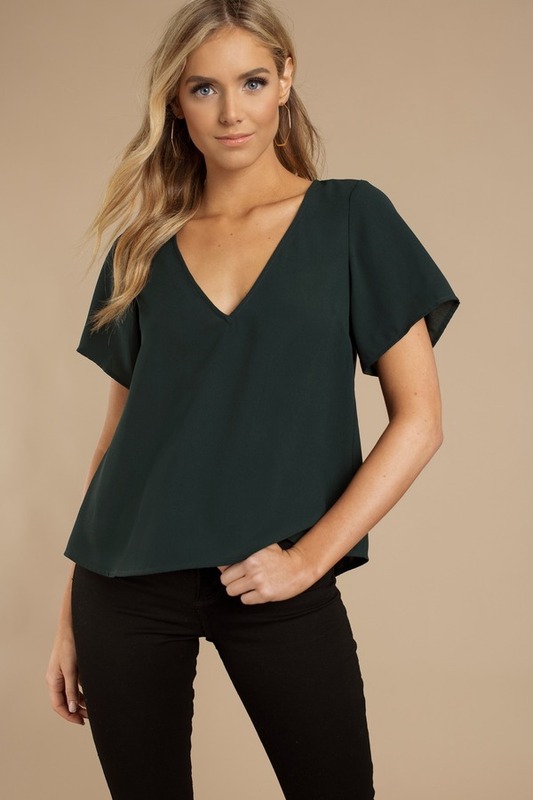 You gotta get the Let It Down Easy Green Surplice Blouse, featuring a plunging neckline, back surplice overlap, short sleeves, and a loose and comfortable fit. Perfect to pair with skinny jeans, your casual 'fits just got an upgrade. Green, Black, Toast modeled on a size Small.